We helped a local Burnham resident with an emergency donation with a gas and electricity top-up. They had no means of adding credit themselves in the cold weather. We continue to support the Lions Club International Foundation Measles Initiative, which is a fund with matched donations, making our contributions go further. Burnham Lions paid for a new carpet for a local resident. The gentleman had a fall at gome and while he was in hospital, his flat was birgled and vandalised. With the help of the local council, his friends and the Burnham Lions, we refurbished his flat and made it comfortable for his return. For Christmas 2015 we gave out 17 food parcels to single people and couples in the Burnham and Slough areas. Purchased track-suiys for the squad of 6 from Burnham Gymnasytics Club who qualified for the 2014 World Gymnastics competition held in Florida. Furniture and furnishings for a local single man and his young son - they moved into our area and needed our help to set up a home. 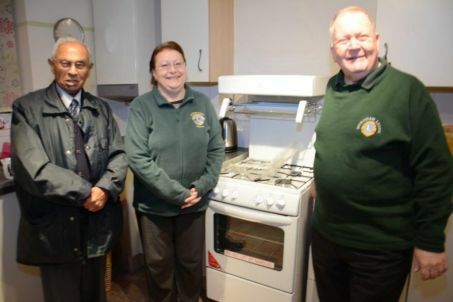 We bought beds and bedding, wardrobes and kitchen utensils, including a table and chairs and a donated microwave. 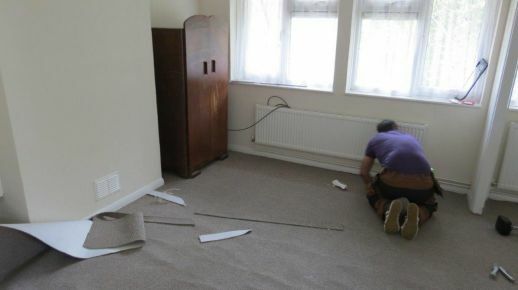 Carpet for a local man - we paid for new carpeting for a formerly homeless man's flat. Kebba's education - we sponsored Kebba through University so he could return to the Gambia and help his community. On his return he has spent two years working on a project financed by US State Department to combat child trafficking in The Gambia. This was not his original plan, but hopefully he can get back into the caring profession with his new qualification. Measles inoculation project - a major international initiative co-sponsored with the Bill and Melinda Gates Foundation, aimed at eradicating measles which kills160,000 people globally every year, mainly children under 5. Christmas hampers for local families - a new initiative which would hope to extend to cover more families and individuals in need in our area. Xmas Shoeboxes with gifts for children in Africa and Eastern Europe - see the Community tab. Message in a bottle - see the Message in a Bottle tab. Spectacles for re-use - we collect used spectacles through the year, they are sent to a Lions Club in our District to be sorted and then are dispatched to developing countries to be issued free - in many such countries a new pair would cost a year's income. 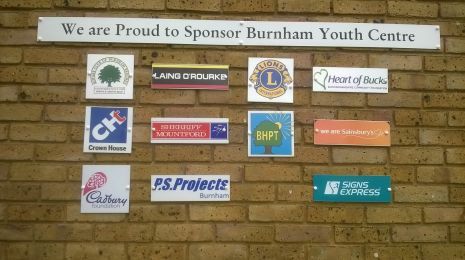 Support for Burnham Youth Club - we have been involved with the Youth Club for a number of years, two of our members helping at club meetings, and one of whom is on the management committee, trying to ensure its future. Support for TVAP (Thames Valley Adventure Playground) - again we have been involved for many years, since we helped to clean out and restock the sand pit - a huge task as it is a huge pit! We regularly help marshal the fundraising walk, and supply items that TVAP need.